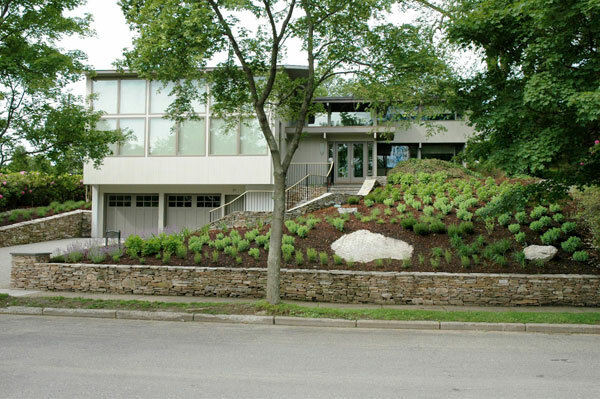 For this contemporary house, we created a new stair sequence to the front door and replaced the dated hillside planting. 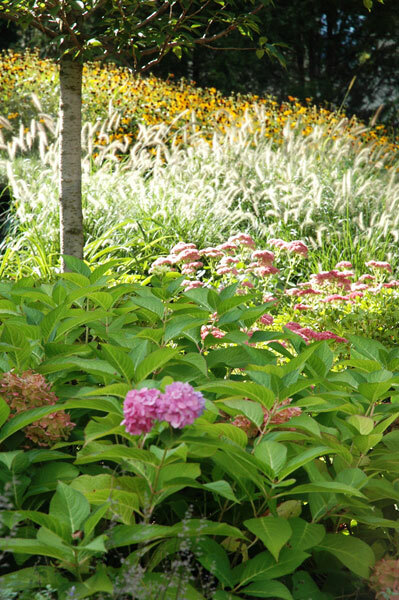 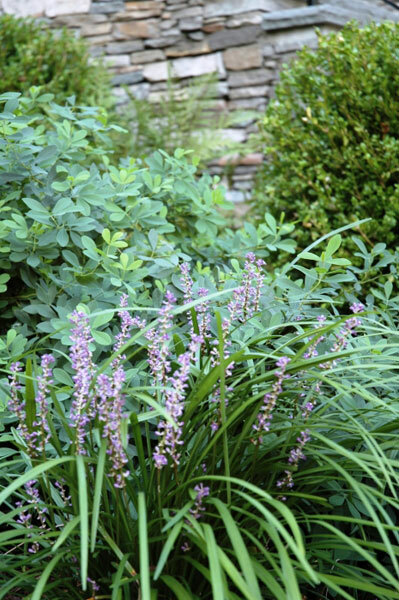 The goal was to design planting that created a natural relaxed feel, was low-maintenance, and also changed with the seasons to provide year-round interest. 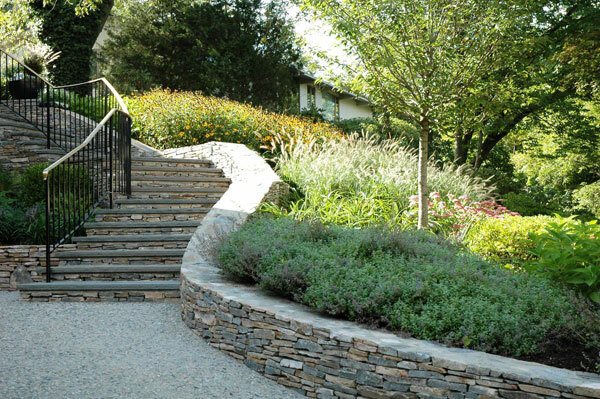 To meet the challenges of this hillside garden, we broke the stairs into levels that curve their way to the front door, allowing changing views of the hillside landscape along the way. 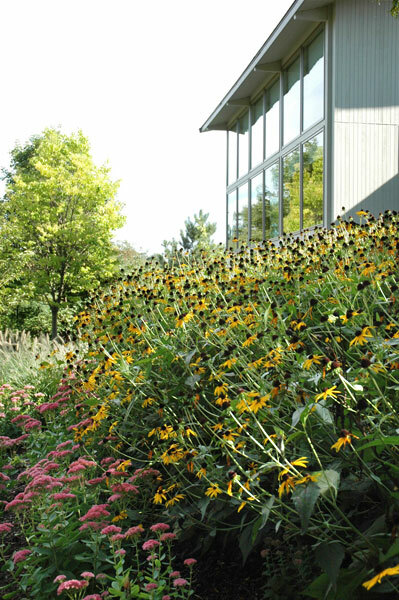 Trees, shrubs and perennials are layered to create a relaxed garden with seasonal interest that compliments the modern architecture.